Did you know a standard banker’s box can hold up to 2,500 sheets of paper? That’s a lot of information! When your boxes reach the end their retention period, they should be professionally shredded. But consider this: a hard drive or tape with 1 terabyte of storage capacity stores the equivalent of 250 million sheets of paper printed on both sides! The volume of sensitive data that can be stolen from a hard drive or tape dwarfs that of a banker’s box, which is why your digital storage media deserve a destruction solution that’s as secure as the one you use for your paper records. The first step is investing in a hard drive and media destruction service. In this blog, we discuss everything you need to know about hard drive and media destruction. Many organizations inadvertently expose sensitive data by erasing or wiping media storage devices and then selling them or recycling them at community e-waste drives. Unfortunately, neither option destroys your data. A recent study by the National Association of Information Destruction (NAID) found that 40 percent of used electronic devices sold on the secondhand market contained personally identifiable information (PII). 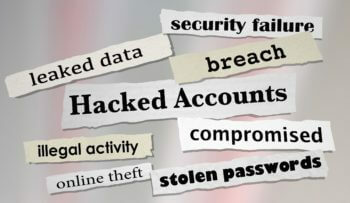 Even if you degauss or reformat the files on your hard drives or tapes, a trail of data remains and can still be accessed by criminals. That’s why the FBI can recover sensitive information deleted from digital devices. But it doesn’t take a forensic expert to access your unwanted media. With the right software, a criminal can easily steal your data. A hard drive and media destruction service works by physically destroying your unwanted media. A screened shredding technician comes to your business and collects your outdated media. Whether you have CDs, DVDs, flash drives, magnetic or round reel tapes, there’s no limit to the devices they can destroy. Your media never leaves your sight; it’s destroyed on-site with a mobile destruction truck, in a matter of minutes, while you watch. After your media destruction project is completed, you receive a Certificate of Destruction. This process makes it impossible for a criminal to access sensitive data and ensures your company complies with state and federal privacy laws. A hard drive and media destruction service offers your business a reliable and secure end-of-lifecycle data disposal solution. 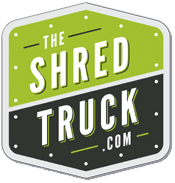 The Shred Truck provides NAID AAA Certified mobile, on-site hard drive destruction services in and around St. Louis, Missouri.